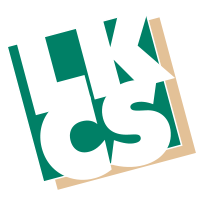 For the last 4 decades, LKCS has constantly improved and enhanced our statement solutions. We’re not the largest statement vendor and we’re likely not the least expensive – but we are THE BEST. 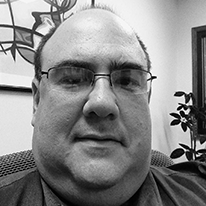 In today’s Webinar Wednesday, our Vice President of Business Development, Sid Haas, highlights several differences between our Statement Processing services and those of our competitors. Why Haven’t You Switched Statement Vendors? Henry Royce, co-founder of Rolls-Royce, once said “Strive for perfection in everything. 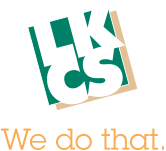 Take the best that exists and make it better.” For the last 4 decades, LKCS has constantly improved and enhanced our statement solutions. We’re not the largest statement vendor and we’re likely not the least expensive – but we are THE BEST. Just ask any of our statement clients. LKCS has enabled our statement processing clients to incorporate graphical ads, also called onserts, directly onto their statements and e-statements for several years. In today’s Webinar Wednesday episode, our Vice-President of Business Development Sid Haas provides insight on leveraging the power and flexibility of onserts to improve your statement marketing efforts. LKCS has enabled our statement processing clients to incorporate graphical ads, also called onserts, directly onto their statements and e-statements for several years. However, our onsert technology and statement marketing goes far beyond presenting a graphical ad to all statement recipients. Here is a recap of what makes LKCS’ statement onsert services different. There is no doubt that your financial institution has been working hard to find new ways of cutting costs. One area that we often advise our customers to look into when trying to limit their expenses is E-Statements. Sending statements can have a significant operational expense, and getting account holders to switch from statements to e-statements can provide large savings on a recurring basis. Your account statements contain information about each account that a person has with your institution as well as the balances they carry, the transactions they make, and where they live. So, how are you using this information? LKCS has been helping our clients analyze, and more importantly, take action and use this data for target marketing and cross-sell purposes.